You're not buying it for its camera, although at 8 megapixels, it's more than serviceable. You're not buying it for the quad-core processor, or 4.7-inch, 720p screen. 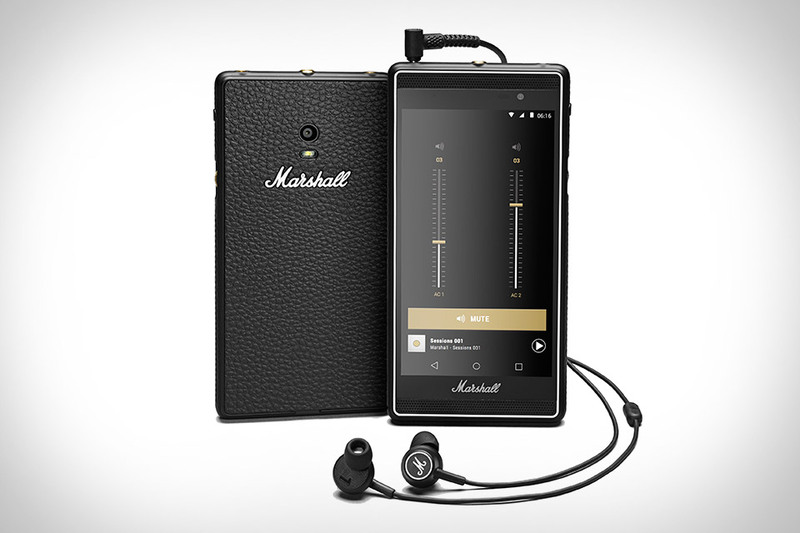 You're buying the Marshall London Smartphone for music. It doesn't disappoint, either, with dual front-facing speakers and headphone ports, a knurled scroll wheel for volume control, a dedicated, one-touch music access button, a Wolfson WM8281 chip and Bluetooth aptX for superior audio quality, and included Marshall Mode in-ear headphones. If your smartphone and your e-reader had a baby, it might look a lot like the YotaPhone 2. Combining the features of an Android smartphone with an electronic paper display on the typically forgotten backside, it's the world's first dual-screen smartphone. The rear e-ink screen is covered by a touch-sensitive, curved matte finish, and allows you to read, text, email, or tweet without even flipping over to the LCD screen. The rear screen stays on all the time, but uses way less energy and can hold a charge for up to five days. Practical use paired with imaginative design make it easy to see why some are calling this the smartphone of the future. It's not yet another unibody aluminum handset. And that's totally fine by us. The LG G4 Phone differentiates itself from the crowd using a subtly curved body with a back that's clad in full-grain leather, and adorned with the volume and power buttons you'd typically find on the sides. The back is also home to a new 16 megapixel camera with an f/1.8 aperture and three-axis optical image stabilization, while the front features a new, 5.5-inch Quad HD display with improved color reproduction, brightness, and contrast. Powered by a speedy Snapdragon 808 processor, it's also available with plastic rear covers should the leather not suit your style. With a laser-like focus on privacy, the Blackphone 2 is the handset of choice for encrypted communications. It features high-end specs, like a 64-bit octa-core processor, 3GB of RAM, a 5-inch 1080p display, Gorilla Glass 3, and a MicroSD card slot for expandable memory. But it's the software that's special, starting with the custom PrivatOS 1.1. 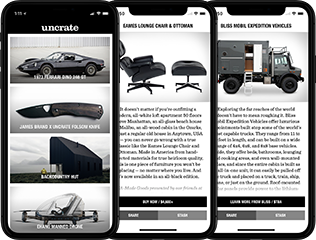 With it, you can configure multiple Spaces — one for work, one for personal use, and one for top-secret stuff, for example — to keep your digital lives separate, and also carry on encrypted, isolated conversations with the included Silent Text, Silent Contacts, and Silent Phone apps, secret agent-style. No micro SD slot. No user-accessible battery. And no Apple branding. The Samsung Galaxy S6 Edge takes a page from Cupertino's book to deliver a metal and glass phone that's the company's best yet, made even more interesting by the signature dual-curve, 5.1-inch Quad HD Super AMOLED display. Other specs include an octacore processor running Android 5.0, a 16 megapixel, f/1.9 rear camera with optical image stabilization, a 5 megapixel front-facing camera, 3GB of RAM, and support for both WPC and PMA wireless charging, meaning that if you need to plug it in to charge it, you're doing it wrong. Most of us long ago moved on from the business acumen of the Blackberry to the do-it-all prowess of iPhone and Android, but if you just can't give up your physical keyboard, the Blackberry Classic Smartphone is for you. This new device features an instantly-recognizable layout, with a full QWERTY keyboard mounted below a 3.5", 294 ppi screen running Blackberry 10 OS. As you'd expect, it's a whiz at email, and also features an 8 megapixel camera, 16GB of internal flash storage, and all the BBM goodness you can handle. It doesn't matter how much awesome stuff your phone can do — if the battery's dead, it's not doing anything but taking up space. That's why the Motorola Droid Turbo augments its stout feature set with a huge 3900mAH battery that provides up to 48 hours of use and the ability to grab another eight hours of juice in just 15 minutes using the Turbo Charger. As for the feature set, it includes an incredibly sharp, 5.2-inch Quad HD screen, a 21 megapixel rear camera with 4K video recording, 802.11ac Wi-Fi, a quad-core 2.7 GHz Snapdragon 805 processor, water repellant coating for life's little mishaps, and a sturdy back made from black ballistic nylon or metalized glass fiber with Kevlar underneath.